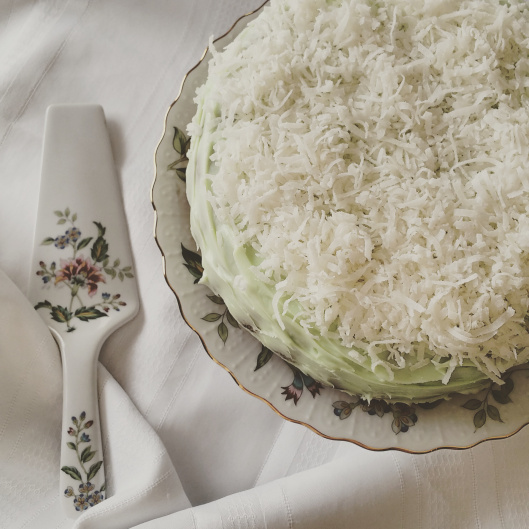 This light Coconut Cake with Cream Cheese Frosting and Key Lime Curd may be exactly what dad needs for a great Father’s Day! One of the things I miss most about South Carolina is the State Fair. I’m a competitive person by nature, but mostly I compete against myself. I enjoy pushing harder to create better recipes, moister cakes, fluffier biscuits, more unique flavors. When I began to develop my passion for cooking and baking, I knew one day I would compete. It happened sooner rather than later. My first competition was the Lexington County Peach Festival Cooking Competition. I dreamt of a peach and cornbread stuffed pork tenderloin, and that year, the recipe came to fruition. It earned my very first Blue Ribbon. I jumped up and yelled like I had won the lottery! I was hooked. This looks fantastic! I just remembered I have a serving plate and pie spatula very similar to this that I have never used. I think this pie is in order!